Calico Canvas offers meaningful and fun artistic development for children and adults of all ages. Whether you have never thought of yourself as artistic or you are looking to expand your artistic skills, our step by step instruction will guide you on the path to making something beautiful. We believe anyone can make art. We specialize in Oil Painting, but we teach a variety of mediums. We offer specialized classes and workshops such as watercolor, drawing, sewing, acrylics and more! Follow Calico Canvas for news about upcoming classes and specials! Contact us to book your own private group for a Wine and Paint Night. Birthday parties and private parties by appointment. Please contact info@calicocanvas to schedule a party! For ages 6-18, the Calico Canvas Summer Camp is the perfect fun and educational addition to any summer vacation. A great night out for adults who want to enjoy a lesson with friends and a nice glass of wine. 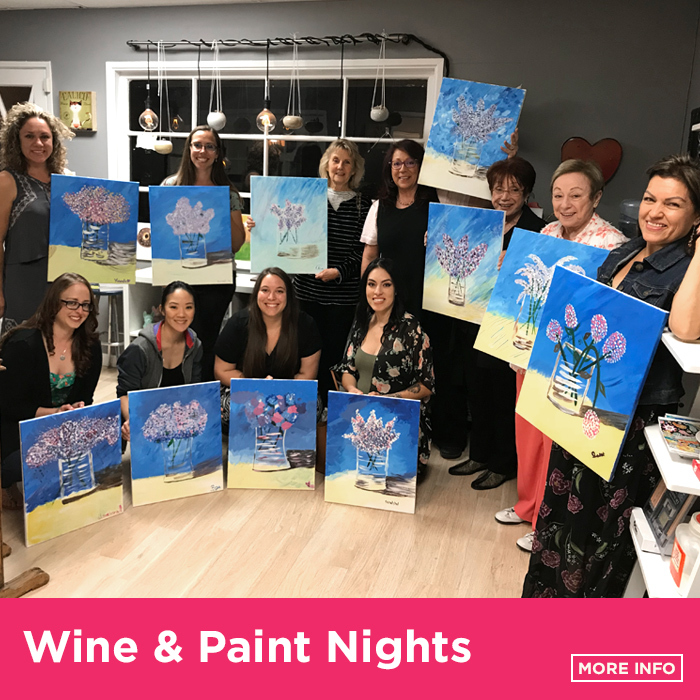 Doesn't matter if you are a master painter or have never picked up a brush, Wine & Paint nights at Calico Canvas are a fun, easygoing experience for all. Looking for a fun and interactive team building experience? 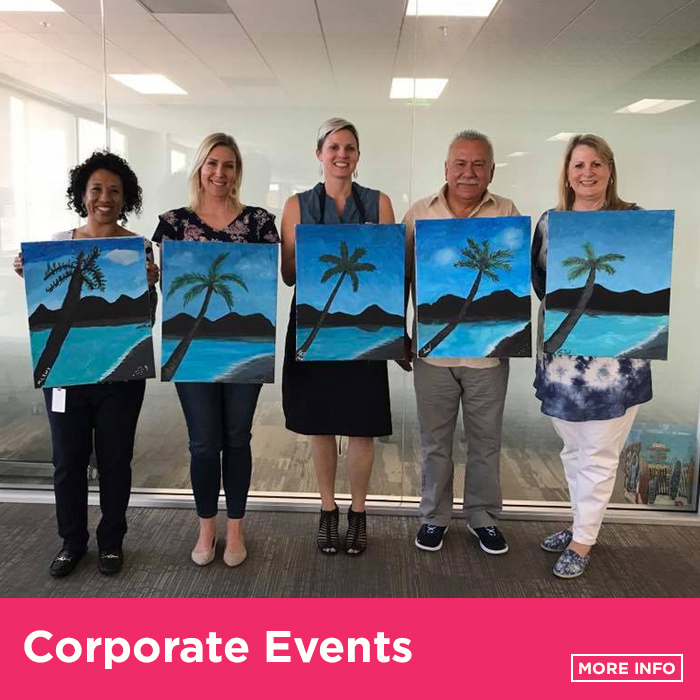 We offer corporate events on and off site. What better way to spend a birthday than with Calico Canvas! Fun for all ages, with programs and activities tailored to fit each party, we work with you to create the a fun and rewarding day to remember (and best of all we do all the cleaning up!). Founded by Allison Delaney-Lopez and Curtiss Lopez, Calico Canvas lives by the notion that art is for all. 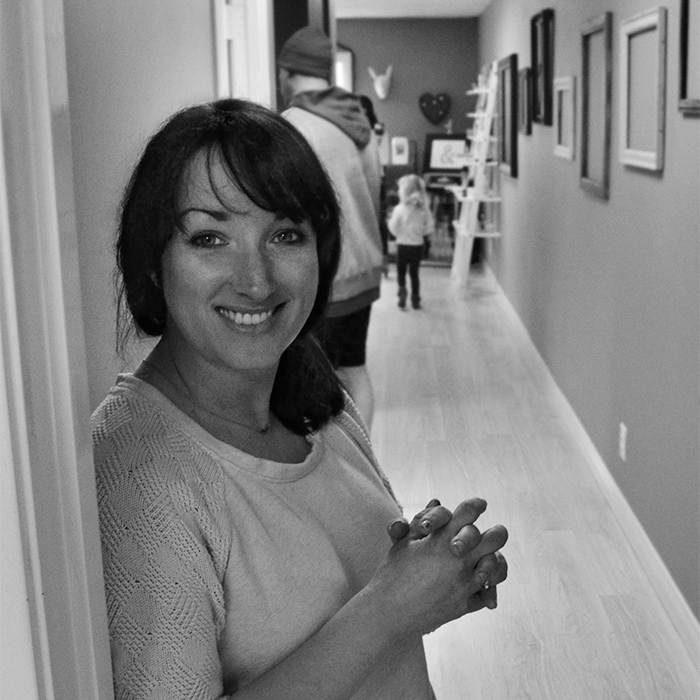 Allison has over a decade of experience teaching fine art and Curtiss has even more as an art director designing posters for some of Hollywood's most successful movies. Together they believe that art should be part of everyone's lives. Whether it's a child getting their first introduction into the joys of painting, a teenager looking to grow as an artist or an adult looking to find an enriching and relaxing hobby, we want to help guide you along your path. Located in the French Quarter complex. Parking lot behind the building, at Paralta Ave. and Ventura Blvd.